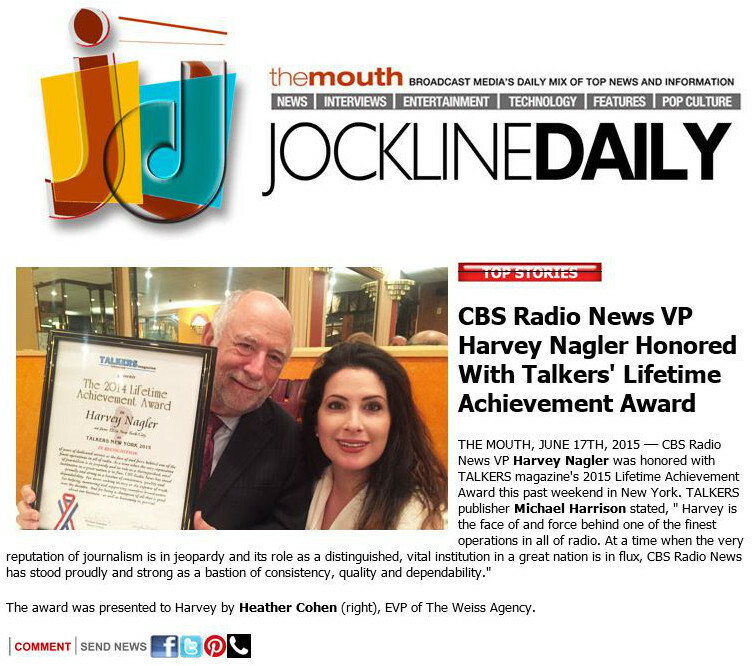 Heather Cohen presented Harvey Nagler with the 2015 TALKERS Lifetime Achievement Award on June 12th in New York. Click here for Heather’s introduction speech! To watch Heather’s introduction for Harvey, please click here.